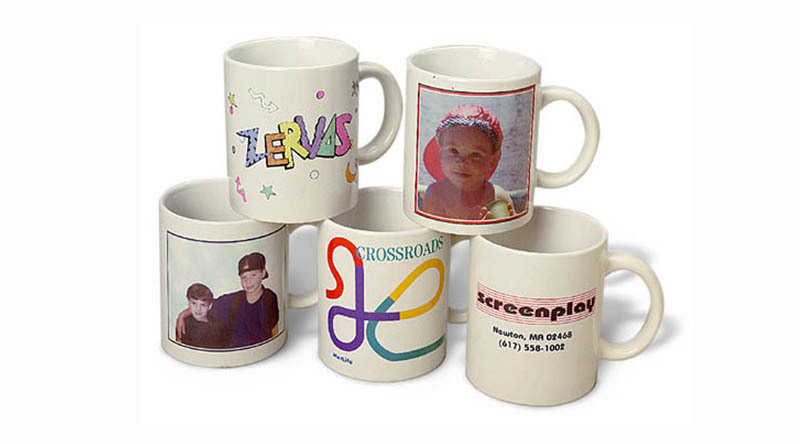 A favorite drink, a special message, a personal connection...ScreenPlay can incorporate your company logo or personal artwork onto a high quality 11 oz ceramic mug. These sublimated mugs will last for years. A keepsake that’s sure to always bring a smile to people’s lips!